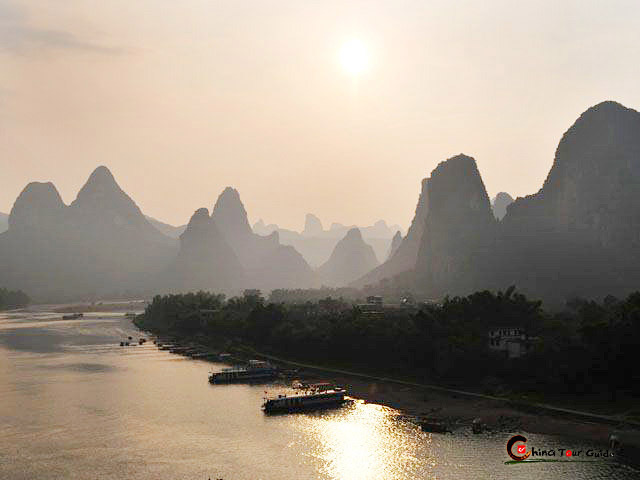 Seven Star Park is situated on the eastern side of Li River. 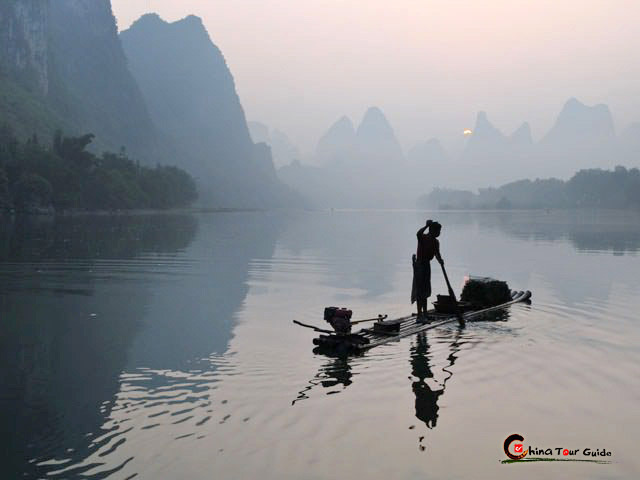 Famous for its long history and beautiful landscapes, the park occupies more than 120 hectares, making it the largest park in Guilin. The Park is named because of its seven peaks, which viewed together resemble the Big Dipper. 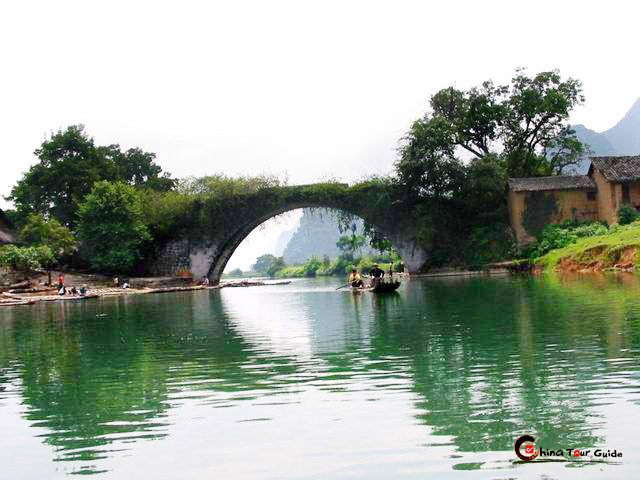 It boasts green hills, crystal water, fantastic caves and beautiful rocks. The park includes scenic attractions: The Flower Bridge, Putuo Hill, Crescent Hill, Seven Star Cave, Camel Hill, Forest of Stele, Zoo, Square on Bright Civilization of China, and Strange Stone Exhibit. The elegantly constructed Flower Bridge is the main gateway to the park. 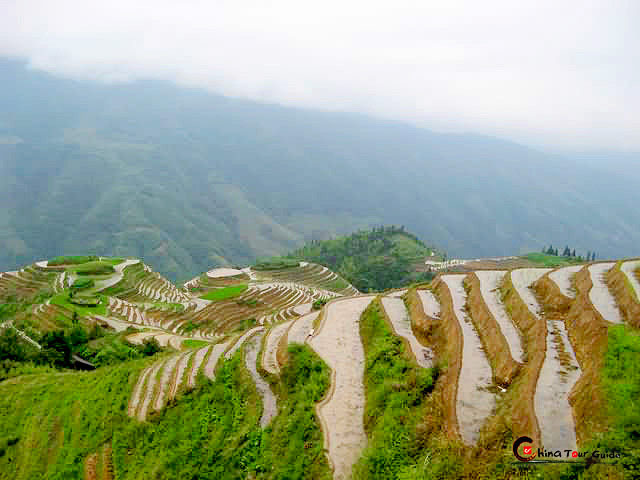 It was built in the Song Dynasty (960-1279). Every spring and summer, the bridge is surrounded by flowers, hence the name Flower Bridge. 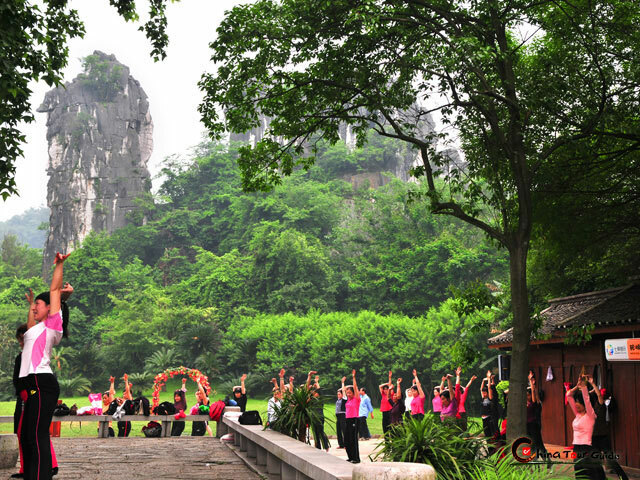 Seven Star cave lies in the Putuo Hill, which abounds with caves and pavilions. The cave is well-known for its dazzling stalagmites and stalactites and other natural formations that resemble animals and landscapes. The cave used to be called 'Residence of the Immortals'. It stretches forward 1,100 meters, 50 meters at the widest point and 20 meters at the highest point. As a popular tourist attraction for centuries, there have been hundreds of inscriptions and poems left on the all by visitors. Following the stone path to the top of Putuo Hill will yield a magnificent view of the town below. Camel hill, at the foot of which the US president Bill Clinton made a speech on environmental protection, is near the rear gate of the park. It is 20- meter high, resembling a camel as well as a wine pot standing in the vast grassland. In the evening the hill reflects the sun 's fading rays, but welcomes them again the next morning.